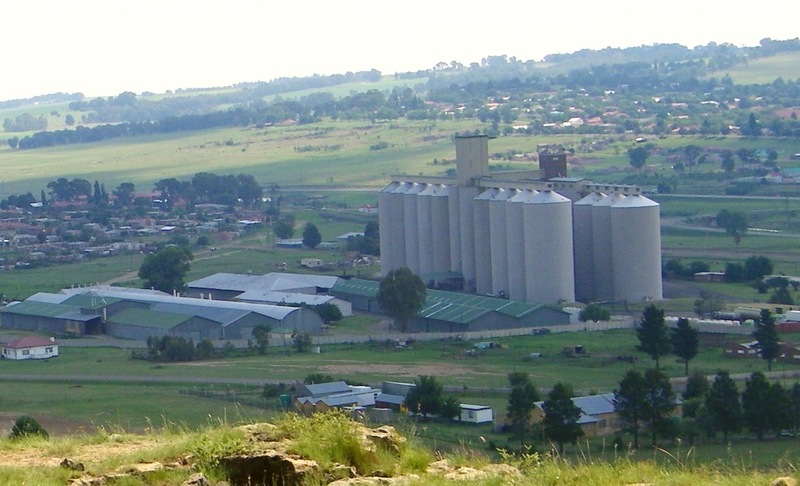 A small town in the Eastern Free State, about 35km north of Bethlehem. GPS coordinates: 26.6874°S 27.8704°E elevation: 1476m. 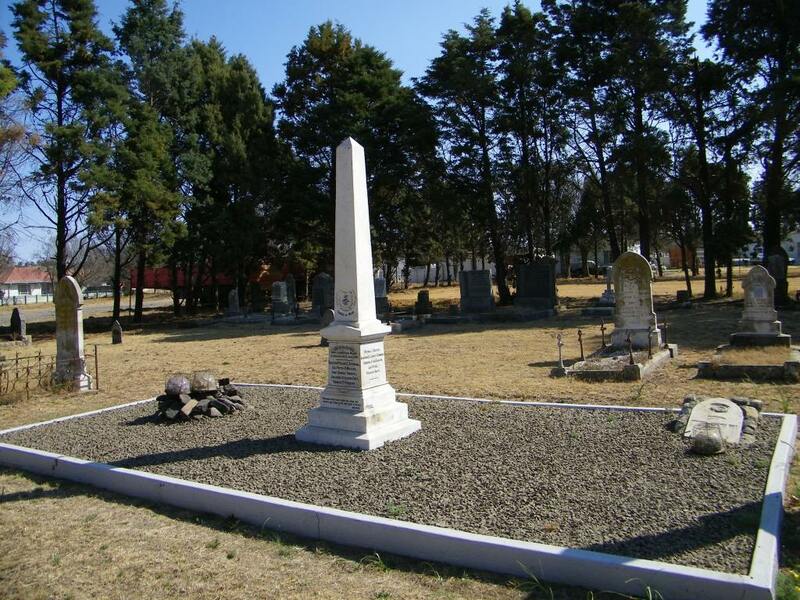 Reitz was different in its origin, whilst most towns in the Free State started with a proclamation, Reitz came about before it was officially proclaimed. It started as an outspan on the farm Stampkop. An outspan is a place where transport riders could stop and release their oxen for grazing. It was common practise and also a necessary practise to give the oxen a chance to refuel before the next days trek. Soon a shop appeared run by Mr.Singer, that shop also handled the post and the place became knowns as Singers Post. Next was a blacksmith and other small businesses. 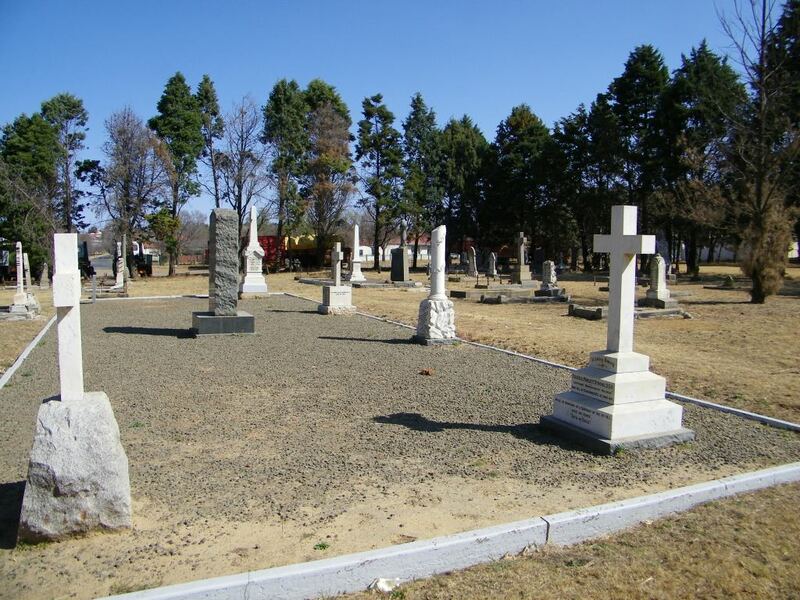 The first plots were sold from 1884 onwards and the Volksraad authorised the establishment of the town in 1889. Initially the name given was Amsterdam and later changed to Reitz after the president of the Free State at the time, who came in person to proclaim the place. 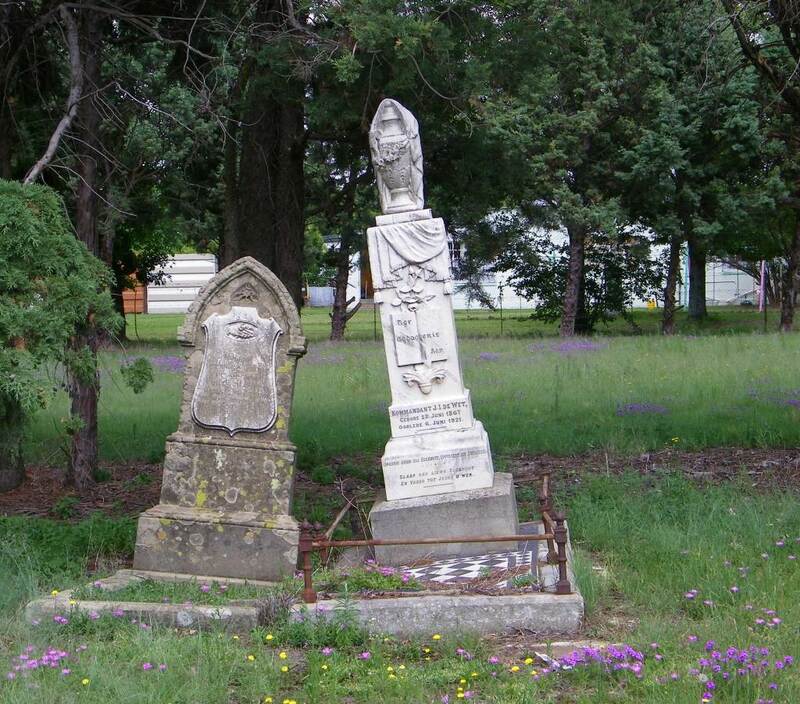 Interesting place this cemetery, it goes back to before the Boer War. It has a section for British soldiers (on the left) and one for the burgers of the republics, on the right. 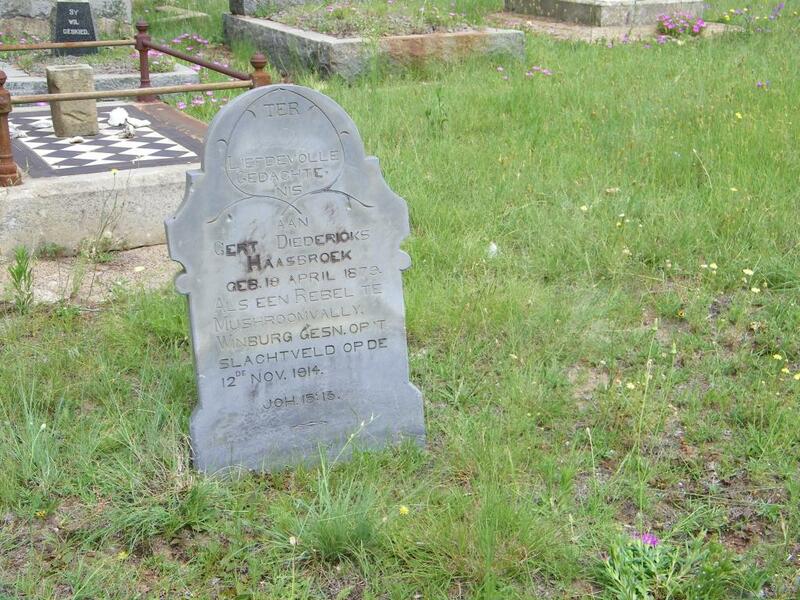 An interesting grave is that of Gert Diedericks Haasbroek, born 19 April 1879, died 12 Nov 1914 in the battle between government forces and the rebels in Mushroom valley near Winburg. The Rebellion as it is known was an uprising of mostly Afrikaners against the plan of the government to invade German South West Africa on the side of Britain. And for this one I managed to source a picture from Ref 3. In the back row the generals Kruitzinger, Herzog and Delarey, kneeling Kommandant de Wet, referred to here as a relative of Christian de Wet. 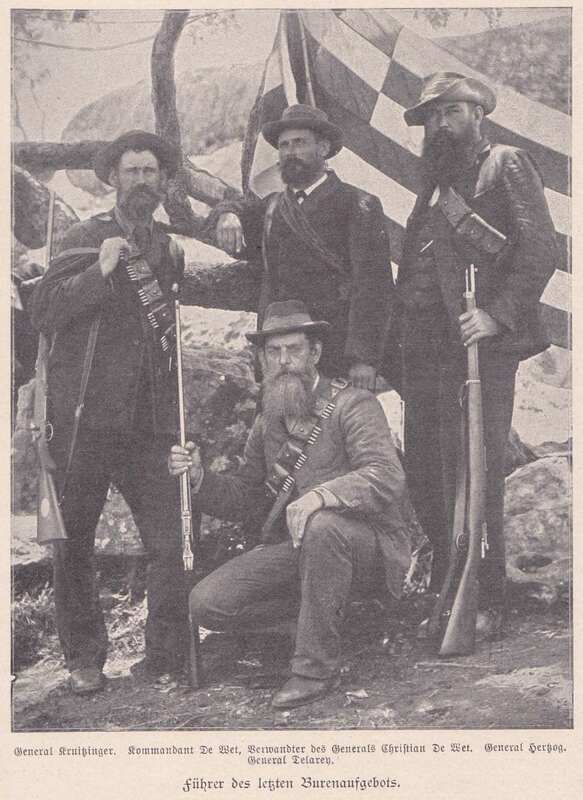 The caption says 'leaders of the last Boer contingent'. At the end of church street on the hill is an imposing church, made from sand stone. This is the NG church of Reitz. The first church (NG) was built in 1886, and 1894 expanded. During the Boer War the church was badly damaged by the enemy, most of the wood had disappeared from the inside. With the help from the community the church was quickly restored. Growing numbers made it necessary to build a new, larger church. 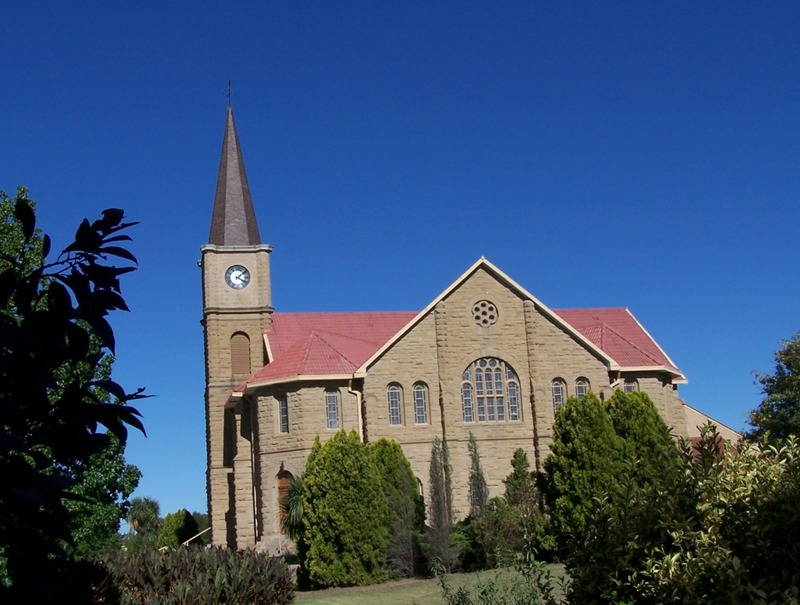 The corner stone was laid by President MT Steyn, the building completed and inaugurated in 1914 and the cost was £12000. The silos of the Co-op, which, by the way, is still a farmers Co-op, owned by the farmers. This is unusual since most co-ops in the country have converted to companies. I had the fortune of being able to visit the installation, taking a lift up to the top. 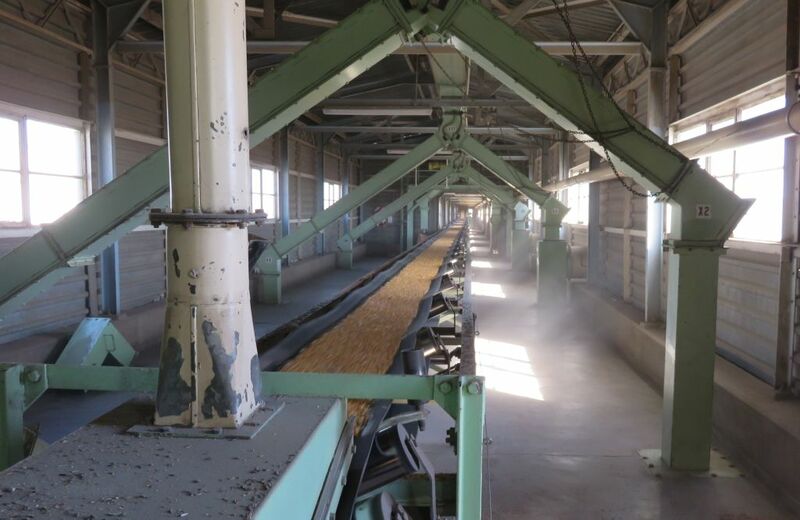 The picture shows one of the belt conveyors taking the maize into the silos. Sorry it's in German, it is part of the poem by JW von Goethe called 'der Zauberlehrling', or in English 'The Sorcerer's Apprentice'. Its about a sorcerer's apprentice who was told to fetch water from the well to fill a bath, but he was very clever and called the spirits to do the job. Only problem was he did not know how to stop the spirits and the whole house got under water. 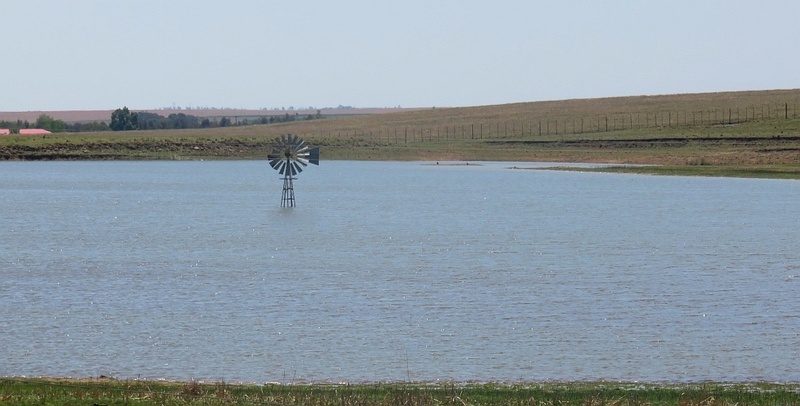 This is the poem that goes through my mind when driving past this place near Reitz, 15km out on the way to Kestell, with a wind pump standing under water. Obviously it keeps on pumping and nobody knows how to stop it. Well, the real story, as told to us by the farmer (I have forgotten the name). In the early 1980's he build a dam wall and had just finished and thought that he must now go and remove the wind pump. Along came the Tropical Storm Domoina in January 1984, it filled the dam from empty to full in one night and submerged the pump. 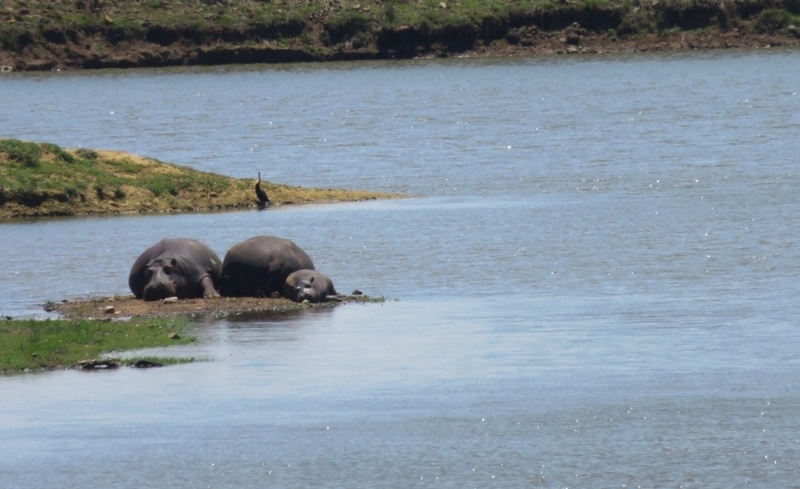 The dam, by the way, served his wife as a training pool to swim the Midmar Mile, a tough annual swimming competitions in the Midmar dam near Howick in Natal. But that was before he put the hippos into the dam.